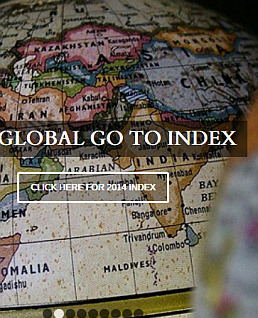 The latest 'Global Go To' ranking places wiiw again in the top of the world's international economics think tanks. The ‘Global Go To Think Tank Index' 2016 released today places wiiw at the very top of the world's think tanks in the category of 'International Economics'. During the last years, wiiw climbed from rank 17 in 2012 to 14 in 2013 to 12 in 2014, 5 in 2015 – and now has advanced even further to No. 4. The ‘Global Go To Think Tank Index Report’ is the result of an international survey by the Think Tanks and Civil Societies Program (TTCSP) of the University of Pennsylvania. The survey ranks more than 6,800 of the world’s leading think tanks in a variety of categories. This is achieved with the help of a panel of over 4,700 peer institutions and experts from academia, policy-makers, public and private donor institutions and media around the world. The 2016 issue comprised 50 various categories such as Top Think Tank in the World, Top Domestic Economic Policy Think Tank, Top Social Policy Think Tank, and Best Advocacy Campaign. The quality and commitment of the think tank’s management, the reputation of its staff and research produced, its academic reputation as well as the think tank’s reputation with policy-makers are among the key selection criteria. It is also the demonstrated commitment to produce independent research and analysis that is taken into account in the ranking process. The Think Tanks and Civil Societies Program (TTCSP) of the University of Pennsylvania conducts research on the role policy institutes play in governments and civil societies around the world. Often referred to as the ‘think tanks’ think tank’, TTCSP examines the evolving role and character of public policy research organisations. It aims to bridge the gap between knowledge and policy in critical policy areas and thereby also to improve policy-making and to strengthen democratic institutions and civil societies around the world.